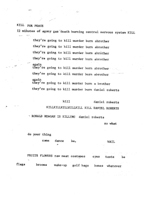 Abstract: Digger-style poem on the occasion of the execution of Daniel Roberts. 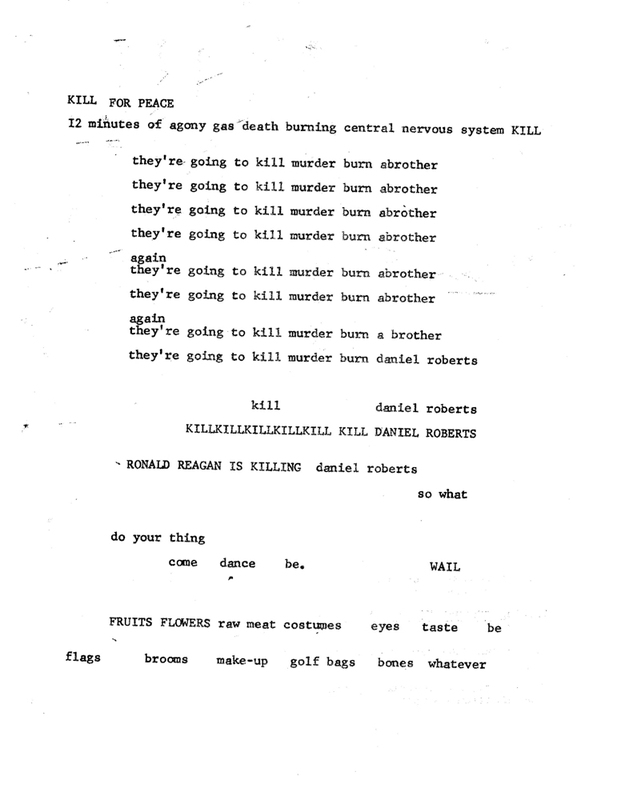 "12 minutes of agony gas death burning central nervous system KILL .. RONALD REAGAN IS KILLING daniel roberts| so what| do your thing| come dance be. WAIL| .." See CC012a & CC018.